Now with advanced shatter protection, InvisibleShield Glass+ features Ion Matrix™ technology – extreme impact and scratch protection that helps preserve every pixel. Impact Protection: Glass+ features Ion Matrix™ technology, the most advanced impact and shatter protection available. Easy Application: Smart EZ Apply® tabs make application bubble free. Simply align it, press it, and watch as Glass+ does the rest.  A Warranty You Can Count On: A limited lifetime warranty means if your Glass+ gets worn or damaged, ZAGG will replace it for the life of your device. Our phones’ screens are the windows to our digital world, and we want a seamless experience as we swipe and type. Nothing delivers that experience quite like the ultra-smooth surface of glass. So to be able to withstand the rigors of our day-to-day lives and the unexpected, we created Glass+. Impact Protection: Glass+ features new Ion Matrix technology, the most advanced impact and shatter protection available. Glass+ is chemically strengthened at the molecular level to preserve that glass-like feel and protect your screen like never before. Its Ion Matrix impact protection is a proprietary process that creates the ultimate defense against drops, dings, and scratches so that you can swipe and type with ease. Everyone wants to protect their screen without sacrificing touch sensitivity. Glass+ gives you the same remarkable responsiveness of an unprotected screen thanks to its meticulously designed composition. And with our premium surface finishing process that delivers smooth tempered glass with sleek, beveled edges, Glass+ blends in with the rest of your screen, protecting every pixel without ever getting in the way. Staying in touch means touching our screens — a lot. So we designed a long-lasting, oil-resistant technology to keep your screen resilient against smudges and fingerprints. Effortless and easy to clean, Glass+ helps keep your screen pristine. Glass+ is designed to work flawlessly with the enhanced optics of your device’s screen. Its 100% clarity rating means screen protection that’s so clear, you won’t even know it’s there. So enjoy crisp, clear images in vibrant high definition clarity like they were meant to be seen. Applying screen protection shouldn’t take an advanced degree, so we’ve made the process worry free. With our patented EZ Apply tabs and the innovative, self-applying design of Glass+, application is smooth, seamless, and accurate – every time. Simply align it, press it, and watch as Glass+ does the rest. No other screen protector does the work for you like Glass+. InvisibleShield Glass+ for the Google Pixel 2 is rated 4.2 out of 5 by 99. Rated 5 out of 5 by Noreaster from good pruduct Tempered glass ordered direct from ZAGG. The two prior to this came with defects but ZAGG replaced both times, no questions asked. If it wasn't, I'd be moving on to a different company but they took care of it fully. Rated 5 out of 5 by Kriket Bugher from Great quality! I'm so pleased with the invisible Shield glass protector! I have purchased one for all of my families phones. You can't beat the lifetime warranty. Rated 5 out of 5 by Cm1210 from Best glass available I have a zagg on every device we own (10) and have been so satisfied with all of them. The zagg goes on every time we change devices. Peace of mind!! Rated 5 out of 5 by Deb in AZ from Excellent company I purchased Zagg warranty when I purchased my Google phone. Great investment & a great company to work with. They stand behind their products. Thank you Zagg! Rated 5 out of 5 by Ronaldkb from great Very happy with the performance of the product. lasted a long time. Rated 5 out of 5 by De32 from Life saver! Best screen protector ever! I wouldn't want anything else protecting my phone! Rated 5 out of 5 by Dok of song from Works great Got my phone knocked out of my hand face down onto sharp gravel, the 3x invisible shield for Google Pixel 2 got cracked but my phone screen was protected and is in perfect condition. When I called for a replacement customer support was so kind and helpful. I'm so glad I bought it for my new phone. Rated 5 out of 5 by Jennyjenny from Love the life time warranty! It’s saved my family of 3 a few times!!! Rated 5 out of 5 by Peréz Herrera from Convenience Couldn't have come at a better time. Holiday savings. Rated 5 out of 5 by SashMarie from Replacement I love that it is a life time guarantee. My screen was shattered and I had a new one within a week. They even covered the shipping to return the screen. SO happy. Rated 5 out of 5 by becmckee from Does its job! I bought this shield when I got my new phone. It wasn't long after that I dropped the phone, face down. The shield cracked, but it protected my phone. And even though it was cracked, the shield stayed in place and worked well for many months after. I am now replacing with another great Zagg shield! Rated 5 out of 5 by Braed from Love it I replaced my Zagg and the customer service was amazing! Rated 5 out of 5 by Happy roadrunner from A++++ products I am very pleased with quality of their products and timely shipping. Zagg is a fine company to do business with. I highly recommend Zagg. Rated 5 out of 5 by Terri2018 from Great Protection! I bought the Invisible Shield Glass protector for my phone almost 6 months ago and my phone and screen are in great shape! Rated 5 out of 5 by MikePih from Saved me a bundle I bought this about a month ago because my old one broke while saving my screen. Rated 5 out of 5 by husky2010 from Does Everything You Need It To Love this product! The tempered glass works perfectly and has saved my phone on multiple occasions. Zagg has also always been more than accommodating with my needs. The replacement process has been very easy and is so much better than buying another brands tempered glass product. I have had my phone stolen or broken a couple of times so the replacement cost of this screen has been much better on the wallet. Well worth the up-front price. Rated 5 out of 5 by Emmaocie from Lifesaver! I tell everyone about this screen protector. It's saved my phone many times now. And the warranty process is a breeze. Love it and love ZAGG! Rated 5 out of 5 by Pattttttt from Great screen protector Love this screen protector. I had my replacement shipped to me and it had a scratch on it and they replaced it super fast for me! Great customer service! I will continue to buy these products for the customer service alone. Rated 5 out of 5 by Wadely from Saved my phone!! This screen protector is great! I've dropped my phone more than a few times and it has always kept my screen undamaged. Rated 5 out of 5 by MamaMMs from Great product This product did exactly what it is made for; did protect the phone screen perfectly. Rated 5 out of 5 by gwb53 from Great protection for your screen Great screen protector with awesome warranty. Easy to install if you follow the directions, much easier than other brands I have use in the past. Rated 5 out of 5 by Scoutkitty01 from Great phone protection We bought it for my son's new phone and he loves it. Rated 5 out of 5 by julesewalker from Convenient and excellent product! We love the fact that you can replace this product easily for $5.99! Helpful and efficient customer service representatives as well! Rated 5 out of 5 by BeckyC from I don't ever notice it I don't ever notice it so I guess that is a good thing! Have had it for a few weeks now...no scratches or cracks yet. Rated 5 out of 5 by Customer01839 from Saved my Phone This product protected my phone when I dropped it down a flight of stairs - twice. I was never one for screen protectors, but the cracks in the protective screen have made me a user. Great warranty program. I'll be using zagg for all future phones. Why don't the pictures shown for this product match the design? Why doesn't this product fit the Pixel 2 phone? This product does not fit over the screen. I don't even think it was designed for the Pixel 2 as it covers the front facing camera. It does cover the lense, however, it has 100% clarity and that it will not affect the image. Why doesn't the screen protector actually cover the entire screen? I got it &quot;installed&quot; today, and the corners are peeling up. Can I get a refund? We suggest contacting the place of purchase to see if your shield is eligible for a refund. If you purchased it from ZAGG.com or a ZAGG retailer, please call 800-700-9244. How thick is this screen protector?